I feel like even though Impressa helps stop leaks%#44 I’ll always be someone who has bladder leaks. Do they really expect me to believe that it’ll give me my confidence back? I feel like even though Impressa helps stop leaks, I’ll always be someone who has bladder leaks. Do they really expect me to believe that it’ll give me my confidence back? If you’re someone who has struggled with bladder leakage for a long time, your disbelief about regaining confidence is completely understandable. You’ve grown so accustomed to anticipating leaks that you may feel anxious just thinking about them. 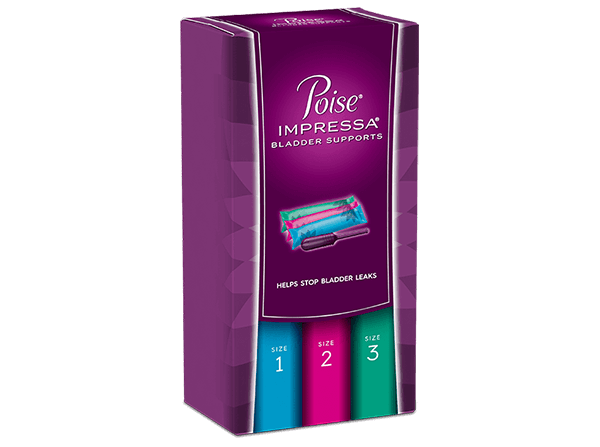 But you’d be surprised how positive reinforcement can alter your thought patterns, especially when you start using a product like Poise® Impressa® Bladder Supports. When our bodies experience consistent and repeated feedback – "yes, leaks can be prevented" – our mindset begins to shift. Instead of anticipating loss of control, we start to believe we can maintain it. Reliability and consistency when it comes to avoiding bladder leaks goes a long way to help rebuild confidence.